It is well-known that the best way to start the morning is with a balanced breakfast - it's not called "the most important meal of the day" for nothing, after all. Breakfast is also linked to many health benefits, including weight control and improved performance. 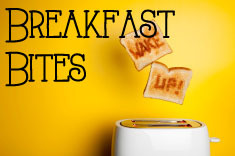 Studies show that eating a healthy breakfast can help you enjoy a more nutritionally complete diet that is higher in nutrients, vitamins and minerals, improved concentration and performance at the office or in the classroom, more strength and endurance, and lower cholesterol levels. According to the USDA's MyPlate Food Guide, a healthy breakfast should contain a well-balanced variety of foods from the major food groups, including fruits, vegetables, whole grains, low- or non-fat dairy and lean protein. 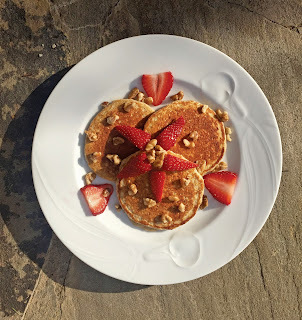 These recipes for Protein Pancakes, Pumpkin-Banana Bread and Oat Bran Blueberry Muffins from registered dietitian Shanna Stewart, of Wellness For The Win, can help you put your best foot forward to tackle everything the day ahead throws at you. Find these healthy recipes and more at culinary.net/bb. Breakfast food is delicious at any time of the day, but is the most beneficial when it packs a flavorful punch to help jumpstart your day. Packed with protein, hearty whole-grain oats and banana, and topped with mounds of walnuts and sweet, delicious berries, such as strawberries, these mouth-watering pancakes will help give you the energy you need for any task at hand and keep you feeling full until lunchtime. In blender, combine oats, protein powder, banana, Greek yogurt, milk, eggs, vanilla, baking powder, baking soda and cinnamon. Blend until smooth batter forms. Cook on griddle until golden brown. Add mixed berries and walnuts (or other toppings) as desired. Serving suggestions: Pour the juice from the fruit on top of pancakes as "syrup" or top with reduced-sugar strawberry jelly and light syrup. Banana and pumpkin make for a delicious duo, so bringing them together in this spinoff of a classic recipe only seems right. Moist and delicious, and made with healthy substitutions your family will love, this fall-infused Pumpkin-Banana Bread makes for a quick, easy breakfast or a healthy anytime snack. Spray 8 1/2-by-4 1/2-inch loaf pan (or 4 mini loaf pans) with non-stick cooking spray. In large bowl, combine banana, pumpkin puree, oil, egg and egg whites. Beat with electric mixer on low speed. In medium bowl, whisk together flour, oats, sugar substitute, baking powder, baking soda, salt, nutmeg, ginger and cinnamon. Add flour mixture to banana and pumpkin mixture and beat until just moist. Pour batter into loaf pan and sprinkle with chocolate chips, if desired. Bake 50-60 minutes or until a toothpick comes out clean. Note: It is best to store bread in airtight container in refrigerator for up to 5-7 days as healthy ingredient substitutions do not stay fresh as long. 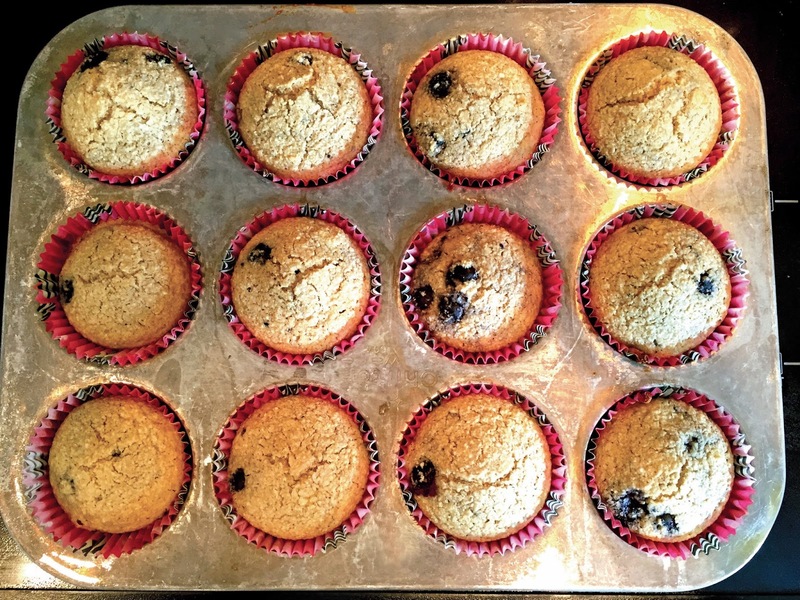 Muffins are perfect for an on-the-go breakfast or as a healthy snack option. Homemade oat bran muffins are a great alternative to large, store-bought muffins that are usually packed with calories and fat. Oat bran is a good source of soluble fiber, which can help reduce cholesterol. Not only do these muffins offer health benefits, the recipe is also effortless, making it a morning time-saver when you need to get out the door in a hurry. You can also switch out blueberries for different fruits, such as a banana, giving you the option to have something new each time. 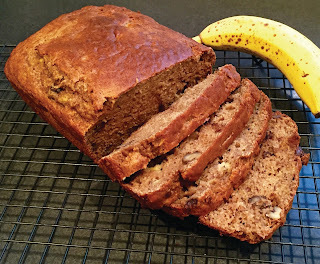 I love Banana bread and Pumpkin bread and I'm super excited about combining the two!